Just write a post about the best new-to-you crime fiction authors (or all) you've read in the period of January to March 2018, put a link to this meme in your post, and even use the logo if you like. An engrossing read. As usual, I am in two minds about how much to tell you. I don't want to spoil the surprises for you. 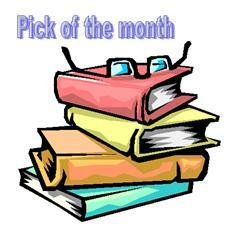 The author handles the two time frames very well, with quite separate stories evolving from each. Bella, Jessie's stepdaughter in the second story, is about the same age as Margot, the narrator of the first story, was in 1959. But she has had a dreadful shock - her mother died in a road accident and her father has re-married. In addition she now has a baby sister. She is resentful of her step-mother and very definitely does not want to move from London. But despite herself Bella becomes engrossed with the rumours about what happened at Applecote Manor over fifty years before, when Audrey Wilde went missing. In 1959 Margot and her three sisters arrive at Applecote to stay with their aunt and uncle. They haven't been there for five years since their cousin Audrey disappeared and things are much changed. Dot the youngest sister is 12 years old, the same age Audrey was when she vanished, and Margot at 15 is a painful reminder to her aunt and uncle of what they have lost. Eve Chase is the author of Black Rabbit Hall and The Wildling Sisters, and is a pseudonym of a journalist who has worked extensively across the British press. She lives in Oxford, England with her husband and three children. Take your partners, please, for The Tango School Mystery. Yes, wisecracking crime reporter Colin Crampton and his feisty girlfriend Shirley Goldsmith tango into trouble in their most thrilling adventure yet. If you've read the Crampton of the Chronicle series from the beginning, you'll know that the first - Headline Murder - was set in August 1962. Now we've moved on to September 1964 and in the UK, change is in the air. The Prime Minister has just called a general election. Colin is annoyed because he thinks all the political news will push his crime stories off the front page of the Brighton Evening Chronicle. But that's before he stumbles across a dead body - and encounters a sinister figure from the past. And that's not all. Gerald Pope, the Chronicle's editor - known to Colin as His Holiness - has given him a very special assignment. If Colin gets it wrong, someone else could end up very dead - and Colin will be out of the job he loves. What makes it all worse is that Frank Figgis, Colin's news editor, is trying to give up smoking so he's even more grumpy than usual. Swinging Sixties Brighton comes alive in this new full-length murder mystery that will keep you turning the pages right through the Easter holiday. 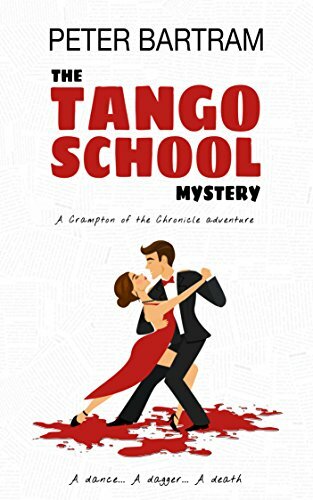 The Tango School Mystery is available as a Kindle book or paperback (264 pages). The plot of this novel takes Brighton crime reporter Colin Crampton into one of his most dangerous investigations so far. He and his girl friend Shirley are dining out when the ceiling begins to rain drops of blood. Colin enters the flat over the restaurant, finds a body, and sees someone leaving. He already has a case in hand - looking for his editor's brother who is supposedly bent on murdering an elderly fascist who has recently returned to Britain and is standing in the just-announced General Election. Colin is worried that this body means that Gervase, the editor's brother has been successful. And then a third case comes up - the theft of four life size waxwork figures from the local Tussaud's. And how is Colin's landlady's experience at her tango dancing lessons connected to any or all of these things? An amusing cozy, with some reflections on political happenings in Britain in 1964. What's meant to be a relaxed backyard barbeque splits apart a group of friends who can't change what they did and didn't do that sunny afternoon. Long-listed for Indie Book Awards 2017. Short-listed for ABIA General Fiction Book of the Year 2017. My first reaction is that this is not crime fiction, but there is plenty of mystery, puzzles that the reader wants to solve. There are 3 couples at the backyard barbeque, 3 children from two of the families and a childless couple. The scope of the book then extends to a grumpy next door neighbour and the parents of two of the couples. 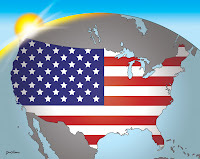 The first mystery is what happened at the barbeque, what caused it, and also what preceded it. This mystery results in plenty of tension. So I'm not going to tell you what happened at the barbeque - that would spoil the story for you. One of the characters is going around giving talks about her experience at the barbeque, but what happened? The second focus of the book is definitely relationships, things people say and do not say, things people do. Some of these relationships have been built on over decades, and perspectives on their nature vary from character to character. The result is, from my point of view, a very long book, and perhaps at times I was guilty of speed reading, but as you can see from my rating, I did enjoy it. A macabre murder during the Women's Australian Open golf tournament at one of Australia's most prestigious golf courses sees food and wine journalist and amateur golfer Rebecca Keith on the murder trail once more. Fortunately, Rebecca's sleuthing takes her on a journey of eating and drinking through many of Adelaide's bars and restaurants. Little does Rebecca know that her visits to nearby Barossa Valley and Kangaroo Island will reveal clues that will become crucial in the hunt for a killer. 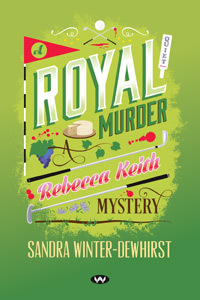 I couldn't resist taking a look at Sandra Winter-Dewhirst's second offering, particularly as it is set in my hometown and she is a "local" author. She does a good job of spruiking local tourist attractions, both physical places, and popular events, and local readers will enjoy being able to visualise where the action is taking place. Freda Klein is not popular with the police. They have noticed that people around her seem to die; not only that, she often seems to have been responsible for the killing although so far no case has yet stuck. To rub salt into the wound, often Freda has been a conducting a police consultation at the time. 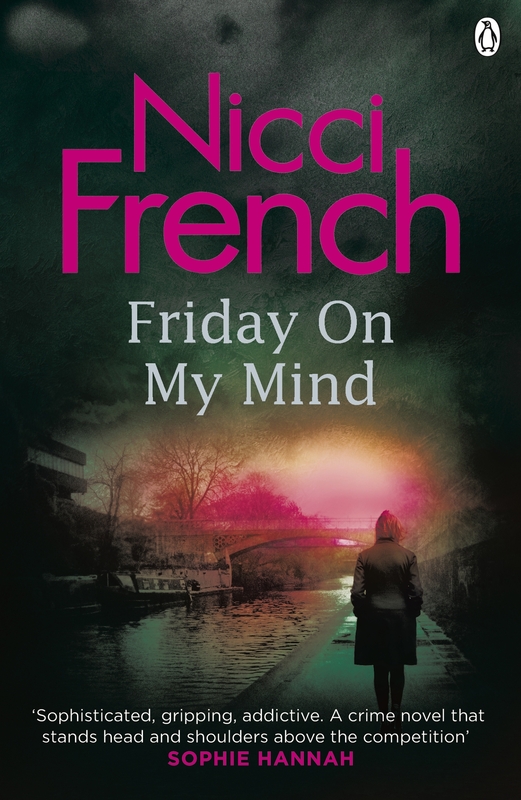 So when her name crops up in connected with the corpse retrieved from the Thames, Commissioner Crawford takes it upon himself to warn the investigating officer that Freda Klein is bad news. And then, just as they are ready to lay charges, Freda disappears. According to the police this is tantamount to a confession of guilt, but that is not how Freda herself sees it. 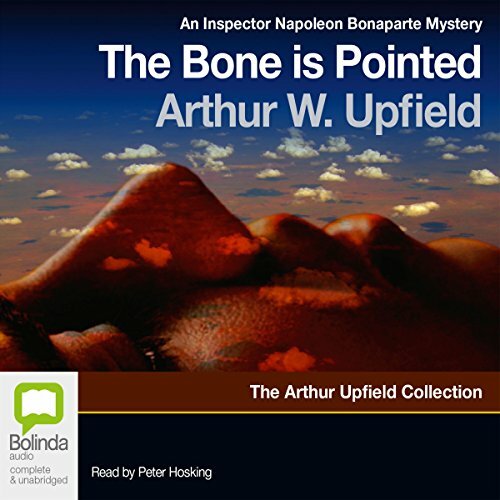 Arthur Upfield's The Bone is Pointed follows Inspector Bonaparte who solves mysteries in the Australian outback. Published in the 1940's, this story not only offers up a good mystery but also a portrait of the aborigines and Australia in the early 20th century. Peter Hosking tackles this story with verve. He speaks with a clear Australian accent while developing the characters believably, giving each his own attributes. Meanwhile, his varied pacing makes the story easy to follow. Mystery lovers and history buffs alike will have fun with the Inspector Bonaparte Mysteries. In this tale Bony appears as a Queensland C.I.B. detective on leave, turning up at an outback station where a rouseabout has gone missing during a storm. His horse turns up at the station the morning after the storm riderless and there is no trace of Jack Anderson. No black trackers are available because the whole local tribe has gone to visit a female elder thought to be dying. By the time a tracker can be found heavy rains have obliterated Anderson's tracks. During the story Bony becomes ill with the "Barcoo sickness" but station owner is convinced that the bones has been pointed at him. At first Bony is determined that he will not succumb but he becomes weaker and weaker despite the attempts of the local policeman to help him. What impressed me was the detailed observations of Aboriginal culture and customs that the author must have recorded. He also presents both sides of the argument with regard to preserving aboriginal heritage. One station family in particular recognise the damage that contact with white people has done to the aborigines, but at the same time are a bit patronising in the way they deal with the aborigines on their station. The character who has disappeared has mistreated aboriginal stockmen, whipping one almost to death, and so is very unpopular. No-one can work out why "Old Lacey" the station owner has kept him on. The clock strikes twelve. Beneath the wind and the remorseless tolling of the bell, no one can hear the scream . . .1912. A Sussex churchyard. Villagers gather on the night when the ghosts of those who will not survive the coming year are thought to walk. And in the shadows, a woman lies dead. This is not a novel for the faint hearted: gothic and gruesome. Something that she barely remembers, a fall down some stairs over a decade ago, has robbed Connie Gifford of her memory, and left her in "delicate" health, with occasional petit mal seizures. 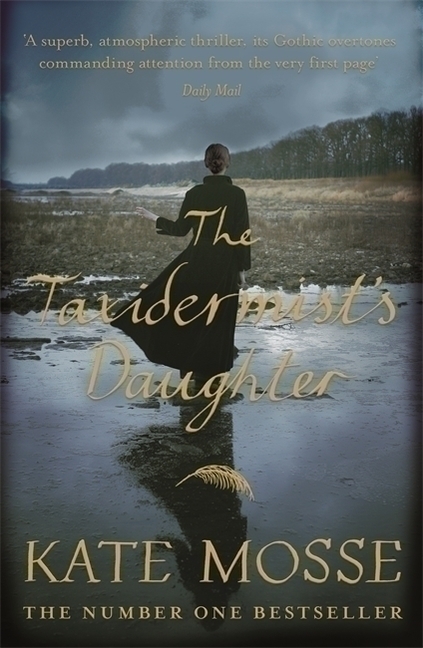 About the same time as her accident her father lost his taxidermy business and Cassie, an older girl whom she vaguely remembers, disappeared from her life. She thinks Cassie may have died. The book opens at midnight on 24th April 1912, at the Church of St Peter & St Mary in the Fishbourne Marshes of Sussex. This is the Eve of St. Mark when the ghosts of those destined to die in the coming year will be seen walking into the church at the turning of the hour. Connie has followed her father to the church and sees him meeting some men whom he knows. They are looking for someone Is she here? and as the bell begins to toll, the door of the church is flung wide, and a cloud of small birds flies out. No-one sees the murder take place. A week later a body floats up in the marshes. Connie has learnt the art of taxidermy from her father and at times produces stuffed birds for sale. So there are descriptions of her at work, which helps the reader understand later events in the novel. Connie's father has kept a secret since the night of Connie's accident, a secret that involves the four men who have met him in the church yard. An event that has occurred in the previous week holds out the promise that their secret may remain buried forever, but only her father suspects that what they have been told is not true. And is the secret still safe with him? This novel has a very black feel about it - there is a lot of darkness, a lot of rain. Gradually we are able to piece the puzzle together. Kate Mosse is the author of six novels & short story collections, including the No 1 multi-million selling Languedoc Trilogy - Labyrinth, Sepulchre and Citadel - and No 1 bestselling Gothic fiction including The Winter Ghosts and The Taxidermist's Daughter, which she is currently adapting for the stage. Her books have been translated into 37 languages and published in more than 40 countries. She has also written three works of non-fiction, four plays and is curating a collection of short stories inspired by Wuthering Heights to celebrate the 200 anniversary of Emily Bronte's birth in 2018. Her documentary on the writer & classicist Helen Waddell will be broadcast by the BBC in 2018. A champion of women's creativity, Kate is the Founder Director of the Women's Prize for Fiction - the largest annual celebration of women's writing in the world - and sits on the Executive Committee of Women of the World. She was awarded an OBE in 2013 for services to literature and women and was named Woman of the Year for her service to the arts in the Everywoman Awards. Deputy Chair of the National Theatre in London, Kate hosts the pre & post performance interview series at Chichester Festival Theatre in Sussex, Platform Events for the National Theatre in London, as well interviewing writers, directors, campaigners and actors at literary and theatre festivals in the UK and beyond. Kate divides her time between Chichester in West Sussex and Carcassonne in the southwest of France. She is now working on the next novel in 'The Burning Chambers' series, The City of Tears - set in Paris, La Rochelle and Amsterdam - for publication in May 2020. Not far from Dana, the Takalar is having engine trouble. Among the passengers on board fleeing from persecution are Roya and her mother, and Roya’s unborn sister.The storm now closing in on the Takalar and the Java Ridge will mean catastrophe for them all. It is a week to the Australian Federal election, and the Prime Minister and the Minister for Border Security are emphasising the success of the government's policy on boat asylum seekers. Arrivals in Australian waters are almost unknown because all boats heading for Australia are being processed by the Indonesian authorities. Surveillance of Australian waters has been outsourced and the Australian Navy will now take no action to assist asylum seekers arriving by boat. Predictably part of the plot is about how the government's new hardline policy will impact on both these boats, but my wildest dreams did not predict the ending. The book raises some interesting scenarios among them an explanation of why so few boats have reached Ashmore Reef recently. The Prime Minister sees Cassius Calvert, Minister for Border Integrity, as a weak link, a loose cannon, although his hold on his own seat is thought to be better than that of the Prime Minister. Interesting insights into the workings of the Australian Cabinet. It is an invitation to you to write your own summary post for February 2018, identify your crime fiction best read of the month, and add your post's URL to the Mr Linky below.